Senator Rand Paul (R-Ky.) has frequently found himself on the defensive as of late, responding to charges of plagiarism and piles of evidence to go with them. It’s no secret in Washington that Rand Paul is looking to follow in his father’s footsteps and run for President of the United States in this next election cycle. For this reason, the Senator’s responses in the aftermath of these allegations have been more than troubling. Not only did he not seem to grasp the seriousness of the allegations against him; at times he seemed to misunderstand what he was even being accused of. On top of this, he has dismissed those who call out his academic misdemeanors as “haters” and stopped just short of challenging MSNBC host Rachel Maddow to a duel. For those who haven’t been following this story, the controversy started in late October, when Rachel Maddow and her staff noticed that a Rand Paul speech on the campaign trail for Virginia gubernatorial candidate Ken Cuccinelli basically quoted verbatim parts of the Wikipedia article on the 1997 film Gattaca. It wasn’t just a brief overlap in language either. Several passages were essentially lifted from the community-run encyclopedia without any semblance of an attribution. When confronted with these allegations early on, Paul seemed confused and apparently thought people were accusing him of claiming to have written the movie itself. While Wikipedia’s copyright does allow its content to be shared and reused without crediting the source, it wasn’t long before more evidence of plagiarism came to light, thanks to the investigations of BuzzFeed, Politico and the Rachel Maddow Show. These included plagiarized passages that appeared in other speeches, columns in the Washington Times (which has since suspended him as a contributor), testimony before Congress, and even in his own book. Twice. At first, Rand Paul’s website merely took down transcripts of his speeches to make it more difficult to detect these clearly frequent instances of plagiarism. Eventually, in the face of mounting evidence and criticism, Paul finally acknowledged his mistakes and announced that his office would be making some changes. Two things in particular stand out about this apparent mea culpa. First, Paul claims that all his written materials will be done “like college papers […] if it will make people leave [him] the hell alone.” Evidently, the changes are not being made out of any sense of integrity. Paul’s office is changing its ways because he is tired of people discovering his wrongdoings and calling him out on them. The second notable quote is Paul’s admission that his office “probably [took] on more than we should be doing.” If Rand Paul is so unable to manage his office as a senator that he can’t help but allow a pervasive culture of unethical behavior, does he really think he is the best candidate for the presidency? No one can dispute that he would probably need to ‘take on more’ as President of the United States than he currently does as a Senator from the 26th most populous state. A case can be made that because Rand Paul is not the author of most of his speeches and publications, as is fairly typical in the American political process, he cannot be held wholly responsible for these acts of plagiarism. I don’t think this defense truly lets him off the hook for the aforementioned accusations. Sure, it may not have been Rand Paul who directly plagiarized those Wikipedia entries or the myriad other unattributed sources that have been discovered, but it was still his staff; people he hired to work for and represent him, people whose job it is to assemble words that represent Paul’s personal platform and points of view. If Rand Paul does not take enough care to find employess who reflect the kind of honesty and ethics that we expect and mandate from our high school students, what does that indicate about how Rand Paul might act as president? Even if Sen. Paul is not directly responsible for these acts of plagiarism, at some point he must have been involved in a decision or a choice that ultimately resulted in these outcomes. Clearly at least one part of Rand Paul’s staff is grossly mismanaged if it cannot adhere to basic codes of ethics. What makes Sen. Paul so sure he is a viable candidate to manage the nation if he is not even capable of managing his own staff? In the end, Rand Paul clearly does not understand what all the fuss is about. He has been caught in numerous, pervasive incidents of plagiarism and at one point he claimed to wish he “could just go to detention after school for a couple days, then everything would be OK.” In that same interview he criticized the media for writing “stuff that if I were their journalism teacher in college, I would fail them.” For someone who attended Baylor University and Duke University of Medicine, Rand Paul seems to have a seriously skewed perception of academic misconduct. Yes, writing a poorly written essay can lead to a bad grade, but allegations of plagiarism tend to be far more serious. It’s not on par with being disruptive in class, or chronic tardiness. At least here at UC San Diego, plagiarism is guaranteed to get you a failing grade, with the possibility of suspension or expulsion from the school. Rand Paul may think he wants his punishment to reflect what might happen back in school, but I’m fairly certain he wouldn’t want to advocate for his own expulsion from the Senate. At least not until he is running for president. And therein lies the root of why this is a problem. 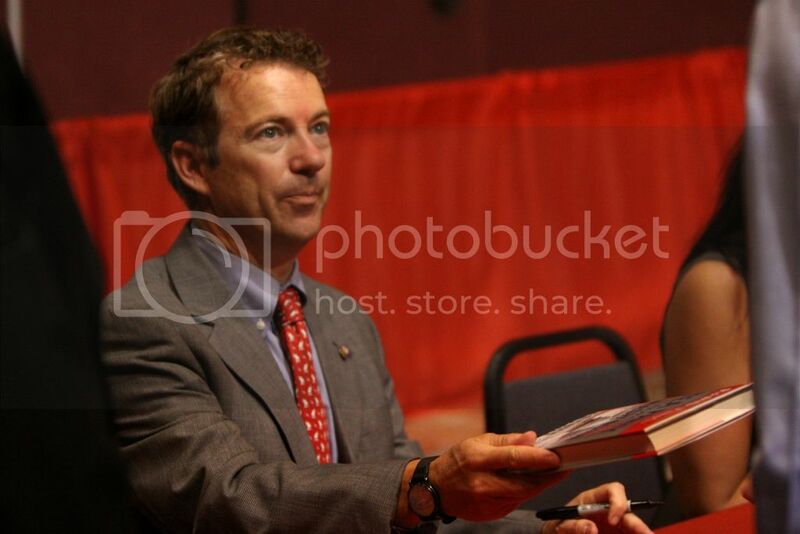 Rand Paul clearly wants to be taken seriously as a political contender. Maybe this scandal won’t hurt his chances in the Republican primaries, but it should. As a nation we should be looking for leaders who understand and adhere to the ethical and moral ideals that are part of the national identity that we broadcast to the world. This is beyond partisanship, platforms and policy positions. Academic integrity, intellectual property and ethical conduct are important aspects of our society. If a presidential candidate were allowed to plagiarize and get away with it, how could we expect a high school student to play by those rules? How badly must the system be failing already for Rand Paul’s staffers to have come this far? In short, Rand Paul and his office were unethical, and on top of that they were downright lazy. Hard as it may be these days, we should expect our senators and politicians in general to take their jobs seriously. Ethics matter. Integrity matters. The presidency matters. We should be looking for candidates who understand the importance of ethical behavior. We should be trying to find candidates who will own up to their mistakes for the right reasons, not just so they can get out of detention.